« Does It Get Better Than This??? As we head into the All-Star Weekend in a couple of days, it’s time to look at the Knicks’ season as a whole. Having been through a decade of hell with this franchise, the 2010-2011 Knicks have rejuvenated New York and the NBA. But in reality, this team is only one game above .500. They’ve had their hot streaks, but they’ve also had some abysmal stretches. The one constant through this inconsistency has been superstar Amare Stoudemire. He has scored 26.2 points per game and is the first Knick to start in the All-Star Game since Patrick Ewing in 1992. He was also part of a phenomal run in November and Decemeber when he had nine straight games with 30+ points. 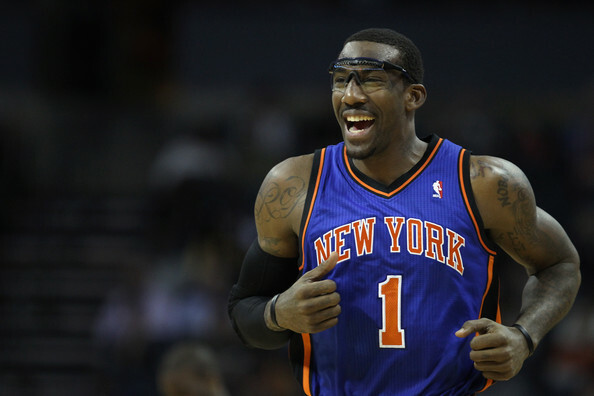 Without Stoudemire, the Knicks would not even be close to the playoff picture. Now don’t get me wrong, I am proud of the Knicks this season. I know that there inconsistency is frustrating, but they are a six seed in the playoffs if the season ended today. I can’t remember the last time I could put the words “Knicks” and “playoffs” in the same sentence. One of the other reasons why this year has been successful is because of new point guard, Raymond Felton. Having been a solid player down in Charlotte for the Bobcats, Felton has been playing his best basketball since he was at Chapel Hill. Third year forward Danilo Gallinari has been a huge factor for this year’s squad, but his inconsistency has also killed the Knicks. I don’t want to bash Gallo because I think he’s been great for the team this season, but he has to step up his game if the Knicks want to make some noise early in the playoffs. There have been moments when Gallo has played out of his mind (take the Celtics game at the Garden back in December) and there’s been times where he would miss 11 out of 12 three point attempts. One of the most improved components of the Knicks has been their play off the bench. Last year, whenever our starters got in foul trouble, the Knicks would crumble. This season, guys like Wilson Chandler, Shawne Williams, and Ronnie Turiaf have contributed immensely. Shawne Williams has been a great shooter off the bench while Turiaf has held down the front court during Stoudemire’s time of rest. Finally, Wilson Chandler has been a great contributer. I think it would be stupid if the Knicks trade Chandler in the Carmelo deal. 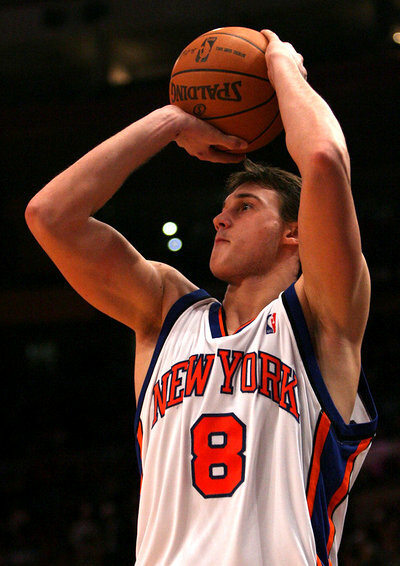 He is the main reason why I think the Knicks should wait until the end of the season to sign him. The Nuggets are asking for too much. Like I said last week, Carmelo isn’t being traded anywhere else. He’s either going to be traded to the Knicks within the next two weeks, or sign with the Knicks in June. After an ugly loss at home to the Lakers last Friday, the Knickerbockers put up a strong performace (without Amare who was out with a sprained toe) and defeated New Jersey 105-95. They take on the Hawks Wednesday night at the Garden. This entry was posted on February 13, 2011 at 9:31 pm and is filed under Knicks. You can follow any responses to this entry through the RSS 2.0 feed. You can leave a response, or trackback from your own site.